No so long ago, gyms in London could best be described as ‘no frills’. Built for practicality, you got in, worked out - ignored the faint whiff of sweat - and got out again as soon as possible. Today though, London’s top gyms feel more like private members’ clubs, complete with plenty of frills like smoothie bars, DJs, lounge areas and spa-worthy changing rooms. They’re places you’d willingly spend your Friday night or arrange to meet up with friends at the weekend. With a new wave of luxe gyms and a health-conscious mindset to boot, it might come as no surprise that last year’s Time Out City Life Index found millennials are four times more likely to exercise than go clubbing in a week. 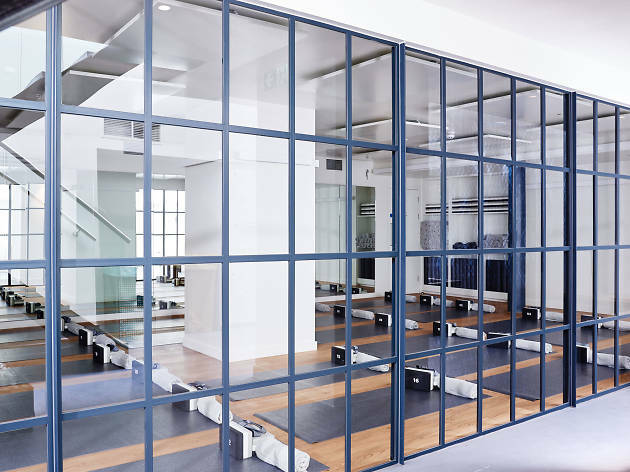 In short, whether you’re a yogi, HIIT fanatic or regular spinner, exercise has never been more fun or more appealing, and it’s all thanks to these gyms and fitness studios in London. 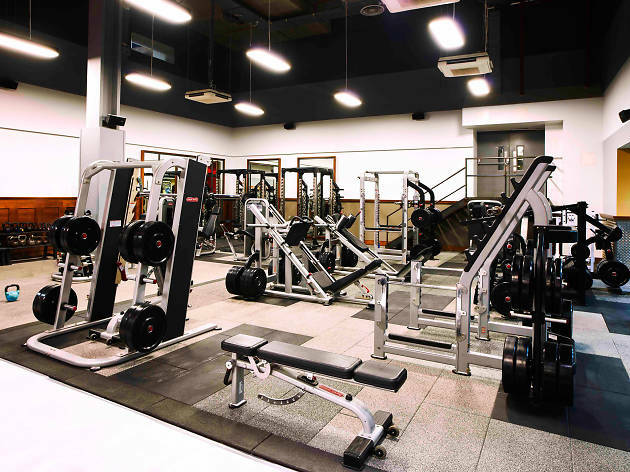 Swanky gym chain Third Space has cottoned on to the fact that many fitness fans have fallen out of love with hefty membership fees and restrictive contracts. So its sister gym, with branches in Bank and Covent Garden, is strictly pay-as-you-go. It offers three classes: HIIT (a mix of boxing and floor work), cycle (spinning with a focus on core strength) and yoga (take your pick from hot or ‘ambient’). The gym is bright and light, and the changing rooms are packed with everything you could possibly need, from hair ties to wet bags. There’s also a small café, serving healthy snacks and protein shakes in every hue. Dreamy. Find Another Space in Bank and Covent Garden. The first BLOK, which opened in Clapton during early 2016, is a seriously trendy offering. 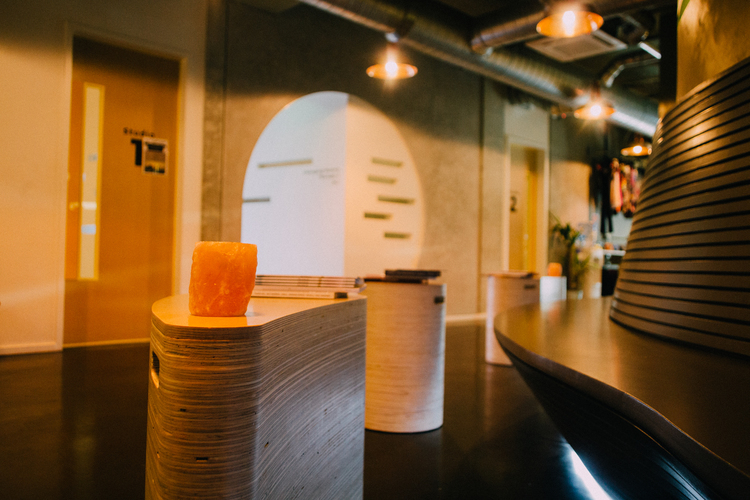 Occupying a former warehouse, the boutique gym has all the vibes of a hip Berlin hangout. It's a class-based gym and you pay as you go. Head there for gruelling workouts like BlokFit, boxing, HIIT or Animal Flow, or take toning seriously with its ace yoga, barre and pilates classes. The owners have thought about the little things too: the bathrooms have underfloor heating, so no need to do the ‘cold floor hop’ in the dead of winter. There’s now a second BLOK in Shoreditch too. Winner. Find BLOK in Clapton and Shoreditch. 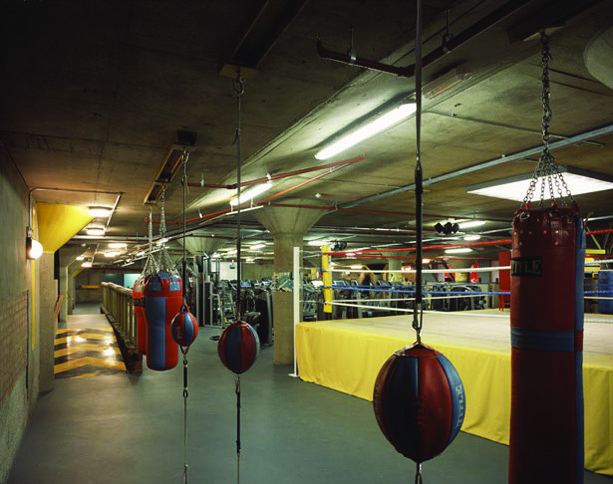 This basement fitness studio is one of the coolest places to break a sweat in east London. It's in a basement just off Well Street, with warmly lit studios, incense and a welcoming vibe. 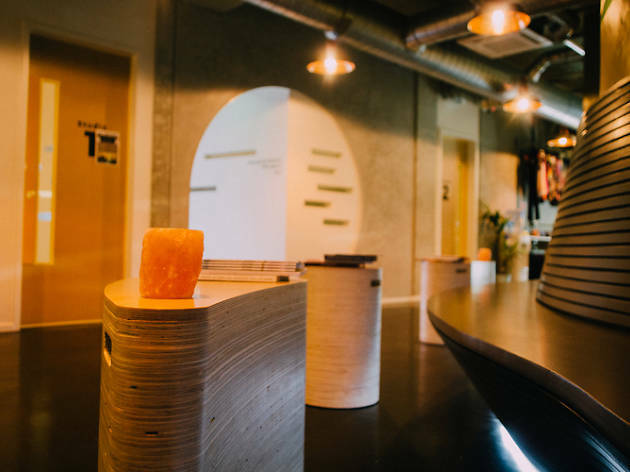 It's home to a collection of quirky yoga, pilates, barre and fitness classes – think Happy Hour at the Barre, Lift It Tone It Sculpt It and Get Up and Glow Yoga – as well as workshops and therapies. Expect peppy instructors and a warm welcome from the studio’s dog. Find The Refinery in Homerton. Gymbox has grown impressively since it started in a car park in Holborn back in 2003. 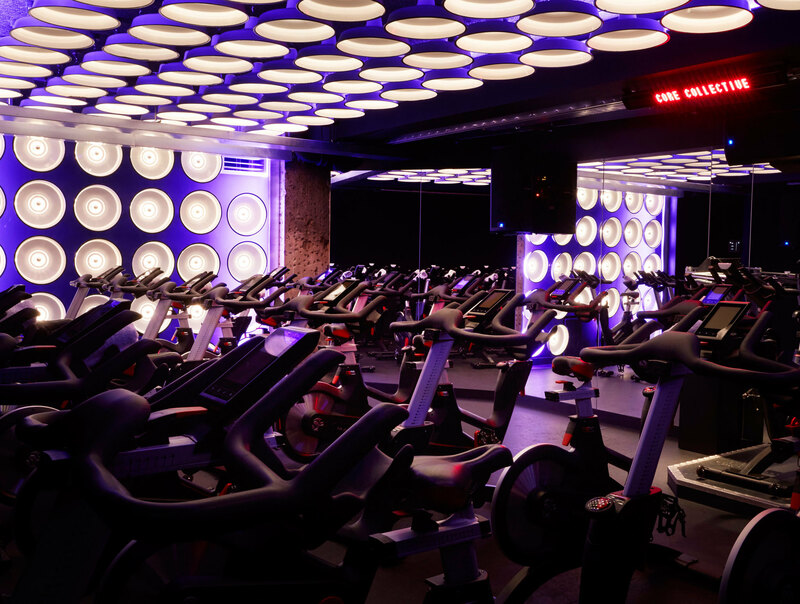 Right now in London you can take your pick from eight Gymbox gyms, each committed to making getting sweaty and out-of-breath fun. A quick look at its schedule gives you a sense of the place: Flatline is dubbed the hardest class in the world, Death Row is a seriously tough rowing workshop. There's Rave, Contortion, Aerial Pilates, Trapeze, Caveman and Paddleboard Yoga. The gyms also feature boxing rings, functional fitness rigs, and resident DJs. This is working out with added party vibes. Find Gymbox in Bank, Covent Garden, Farringdon, Holborn, Old Street, Victoria, Westfield London and Westfield Stratford. Frame was set up to bring a more positive vibe to the whole process of getting and staying fit. That philosophy is evident as soon as you arrive at its Shoreditch gym (the first, which opened in 2009), where emblazoned on the outside is a huge mural with the words ‘Be bad until you’re good. 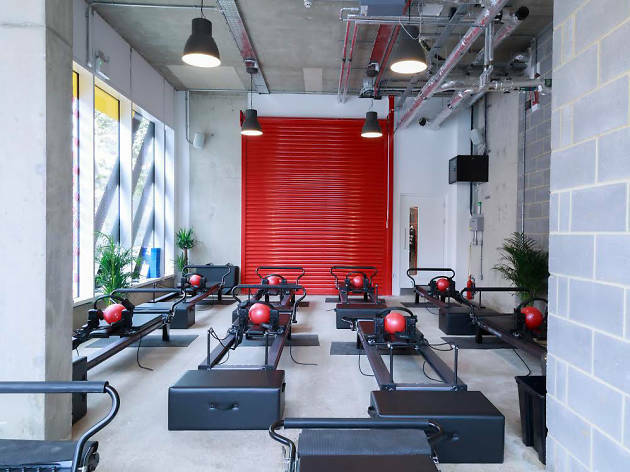 And good until you’re great.’ You can now be ‘bad’ (or ‘good’ or ‘great’, for that matter) at six Frames – in King’s Cross, Queen’s Park, Fitzrovia, Hammersmith and Victoria, as well as Shoreditch – each offering an overwhelming number of classes. Amid the abs workouts and yoga classes there are some quirky options, like Frame Rave, ’80s Aerobics and Music Video, plus a running club. That little lot should keep even the most jaded gym bunny coming back for more. Find Frame in Shoreditch, King’s Cross, Fitzrovia, Hammersmith, Victoria and Queen’s Park. Like the sound of a boogie in a bike-filled basement, instead of the usual strip-lit slog? Give Psycle a spin. As the lights go down and the lasers flash, you’re told to get ready to ‘bounce to the beat’, make rave arms and move weights, all while cycling on and off the saddle. Despite the name, there’s something for those who don’t feel at home on a bike too. 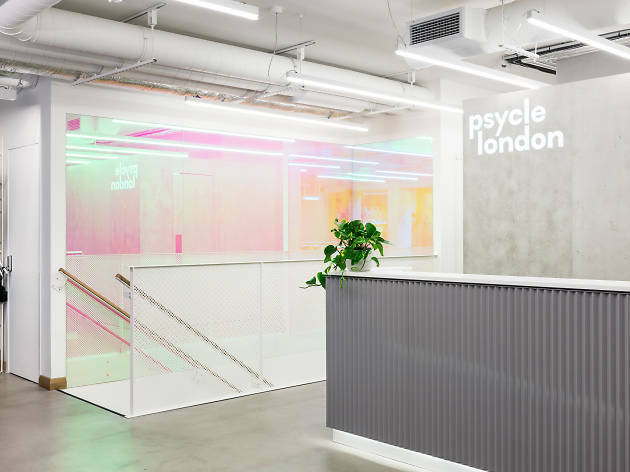 Perky Psycle do amazing non-judgey yoga sessions and high intensity barre, circuits and strength classes - all to banging tunes - at their swanky Shoreditch branch. 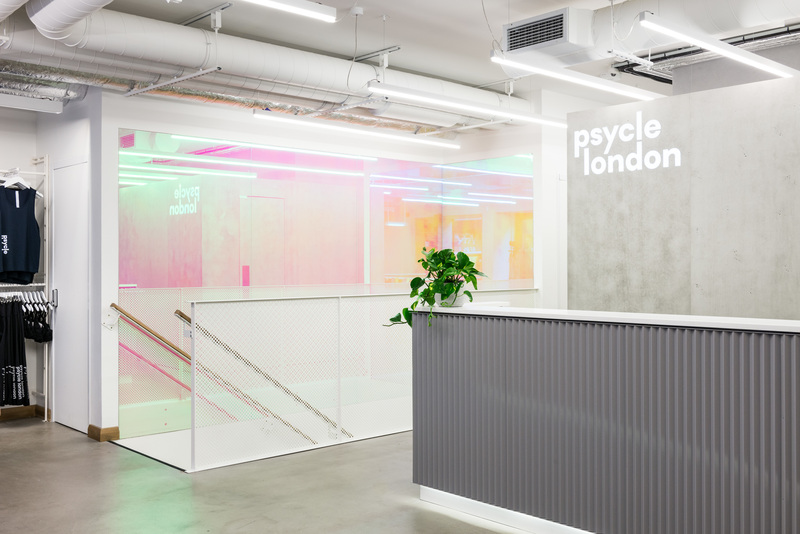 Find Psycle in Shoreditch, Canary Wharf and Fitzrovia. 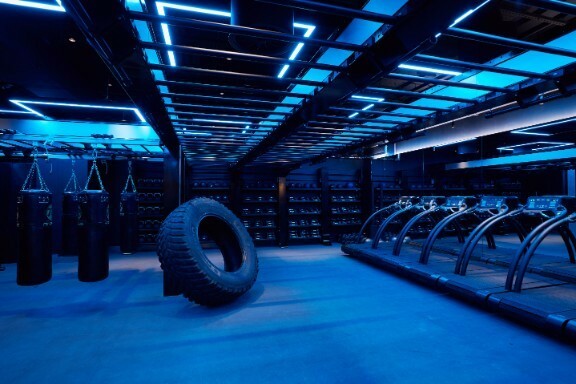 KXU is another of London’s great pay-as-you-go fitness studios, and a sister gym to exclusive private members' club KX, which has its own seriously swanky gym with an extensive PT programme. At KXU, classes include spinning, conditioning and HIIT workouts, as well as various types of yoga and barre. Once you've sweated through your session, treat yourself to a fancy smoothie or salad bowl in their social space. Or, if you've really earnt it, pop into the beauty and wellness clinic, which offers everything from massage and exercise treatments, through to an infra-red sauna experience. This is Chelsea, after all. Find KXU and KX in Chelsea. The thinking behind Third Space is that after home and work the third space you'll choose to spend time in is here. If you think that doesn't sound too far off members club territory then you’re right: the atmosphere at this small chain is refined. Gym equipment is top-of-the-line, the décor is considered and the towels are extra fluffy. There’s a full schedule of strength and cardio classes, plus a wealth of instructors on hand in case you’re wondering what exactly you should be doing with that kettlebell. One stand-out feature – and a clear advantage over all the the drop-in gyms – is that it offers a health check, which you can use to steer yourself to wellness and fitness glory. Find Third Space in Tower Bridge, Soho, Marylebone, Canary Wharf and the City. Call us shallow but we’re in love with 1Rebel’s changing rooms: spacious, with an endless row of showers and large bronze lockers that have graced many an Instagram feed. Thankfully 1Rebel’s commitment to creating an amazing gym experience goes beyond the locker room. 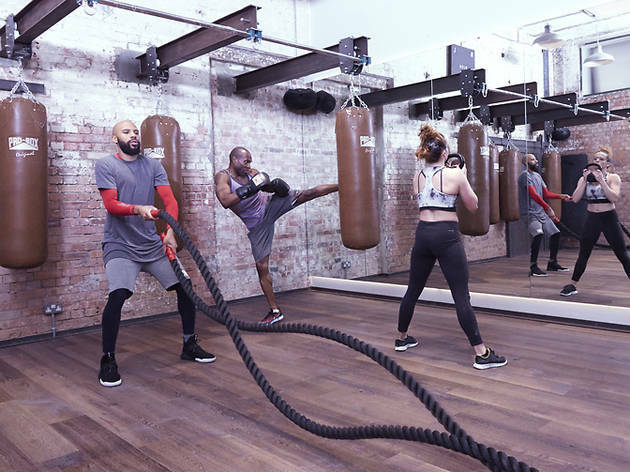 This hipper-than-thou studio focuses on three classes: Ride (that’s spinning to you and me); Reshape (high intensity exercises across treadmills and benches) and Rumble (a boxing fitness class). Instructors are at the top of their game and classes well-planned. Be prepared though: they fall on the challenging side. But after your session you get to stand under one of the heavenly rainforest showers. Bliss. Find 1Rebel in St Mary Axe, South Bank and Broadgate. 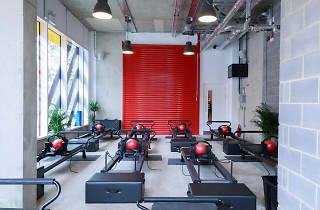 This swanky exercise destination is slightly more expensive than its central London counterparts, but for west Londoners after a thorough workout it’s a sweet spot to head to. On arrival you’re greeted by a huge café and chill-out area with large Chesterfield sofas – you’ll be grateful for these post class. Downstairs is where the hard work happens. Take your pick from seven fitness classes: Circuit, Lift + Row, Cycle, TRX, Power Yoga, Mat Pilates and Stretch. Staff are particularly helpful and the equipment is shiny and new. Find Core Collective in Kensington. Venue says Come and spend a couple of hours of your weekend relaxing and trying out our delicious new weekend brunch menu. We'd love to see you! Equinox gyms have a seriously swanky reputation. Established in New York in the early ’90s, they opened their first gym outside America in London in 2012. Housed in an art deco building a moment from Kensington High Street station, everything about Equinox says high class, and that includes the monthly fees which are in excess of £200. 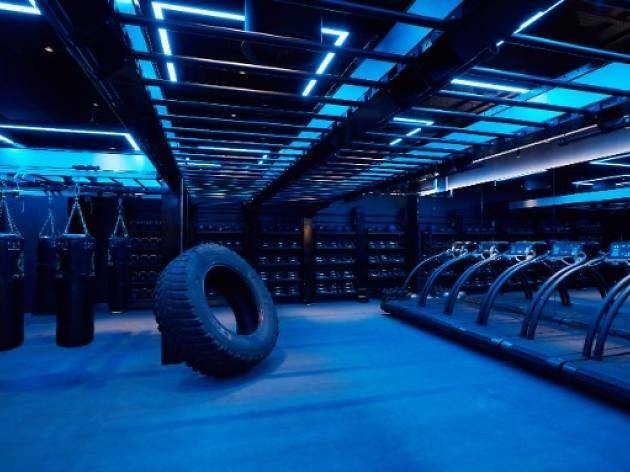 You’ll pay even more at the second branch, a super-personalised, super-fancy fitness club in St James’s. But you certainly get bang for your buck: there’s a boxing studio, a spin studio, a pilates studio, a spa, a packed class schedule, personal training and a swish members’ lounge. There are also chilled eucalyptus-scented towels and an abundance of Kiehl's products in the changing rooms. Did we mention the complimentary laundry valet? If you can splash the cash, it’s the gym of dreams. Find Equinox in Kensington and St James’s.